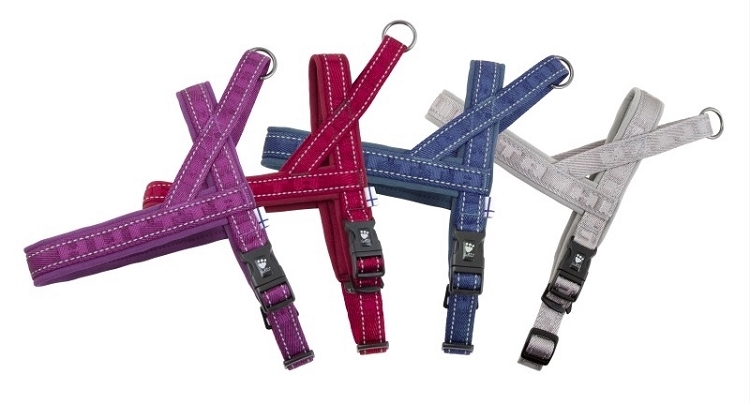 The beloved and popular Padded Harness now in great new colors. 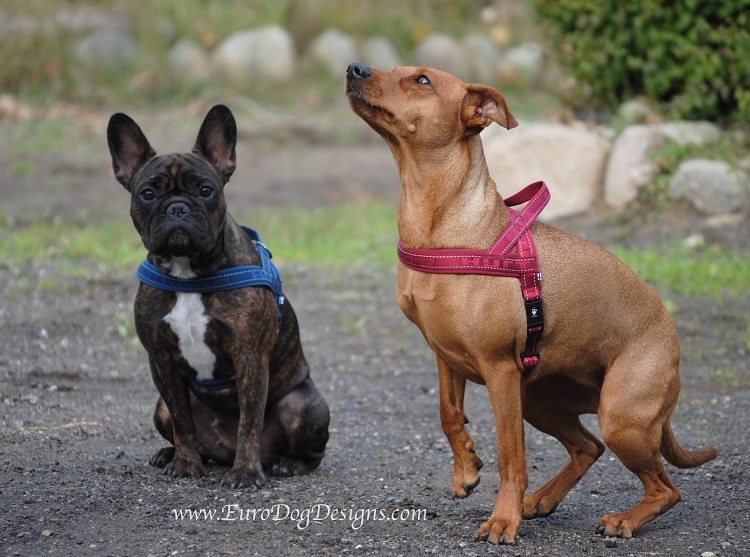 A great fitting harness that fits securely and comfortably on your dog. 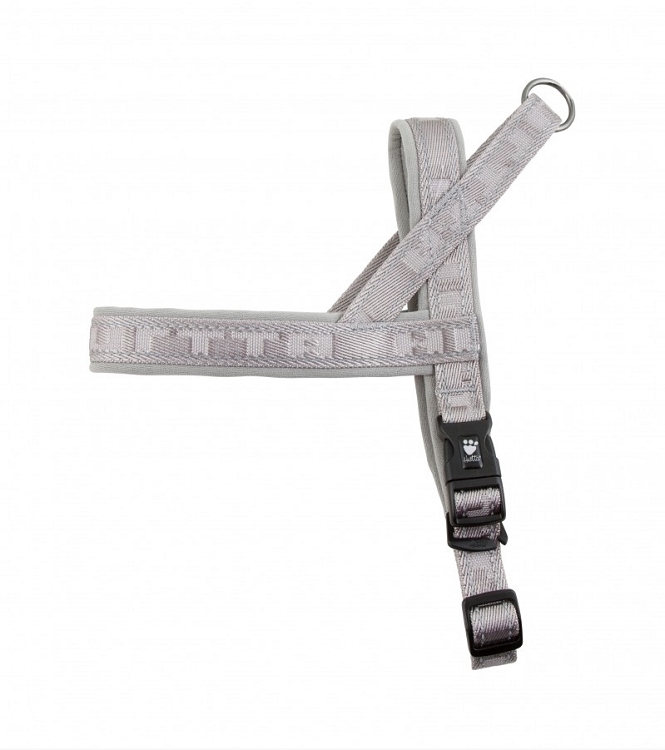 The handle is great for situations where you need close control or for aiding the dog over tricky footing. Neoprene padding ensures there is no rubbing of the coat and skin. 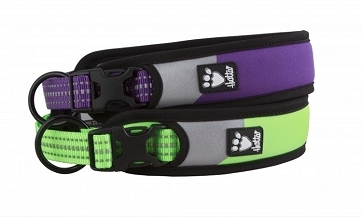 The chest strap is adjustable to fit a range of dogs and the 3M reflectors light up when hit by light at night. Easy on and off with no need to touch the dogs legs or paws. 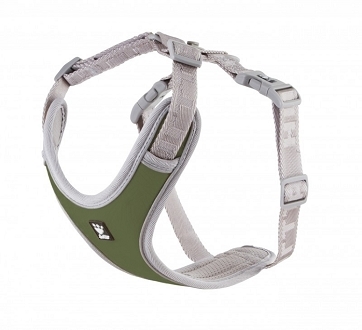 Protects the dogs sensitive neck area from pulls by moving the pressure to the torso. Machine washable. 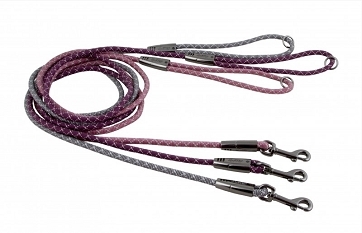 Available in four beautiful colors: Heather (Purple), River (Blue), Lingon (Red) and Ash (Grey) in 8 sizes: 14" (35cm) - 39" (100cm). 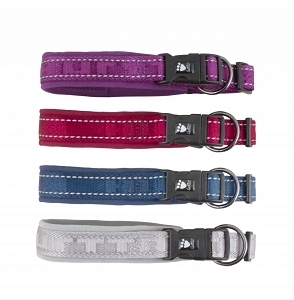 Matches the Casual line of products: Y-Harness, Padded Collar, Rope Leash, Quilted Jacket and Quilted Overall. To determine which size your dog needs, please measure the circumference of the biggest part of the chest, right behind the front legs. The measurement you get indicates the size you need. New fit and adjustment design on the Hurtta Casual Padded Harnesses fit beautifully on my three Clumbers...now each dog has a "CUSTOM" fit. Quick,easy on, easy off.